The legendary Motown supergroup have released their first album in eight years, a fresh combination of original material and covers of contemporary artists. It’s been eight years since The Temptations released their last album, the enjoyable Still Here. That album was the group’s first independent release since they broke with Motown and Universal, but the album struggled from a lack of promotion and distribution (it didn’t even get a UK release.) 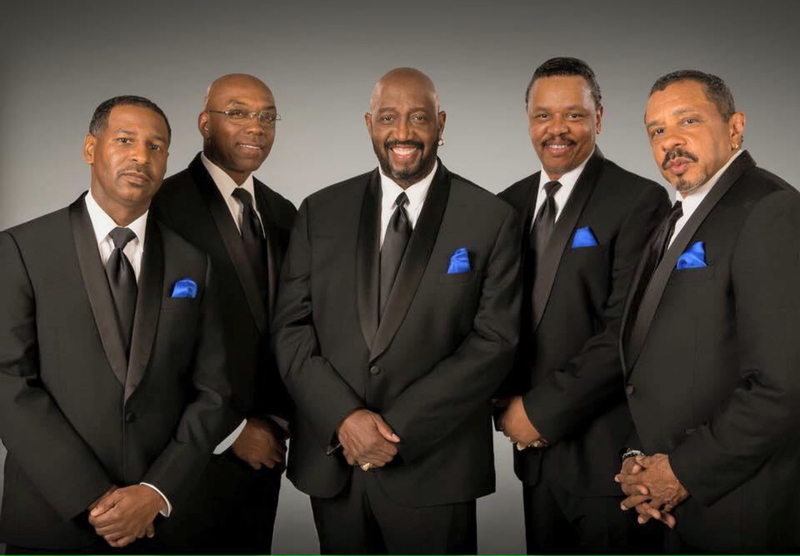 Somewhat disappointed with the album’s performance, the group’s last original founding member, the legendary Otis Williams, decided to focus on touring instead. Since then the group has kept up an impressive, if gruelling, tour schedule. In addition, the group has welcomed some new additions to the line-up, with new lead singer Larry Braggs and bass singer Willie Green replacing Bruce Williamson and Joe Herndon respectively in 2016. Now, The Temptations are no strangers to doing cover albums. Back in the sixties Motown had them record an album of standards, The Temptations In A Mellow Mood, while the group were at the peak of their fame; an attempt by Motown to make their top male act more accessible to the white record buying public. 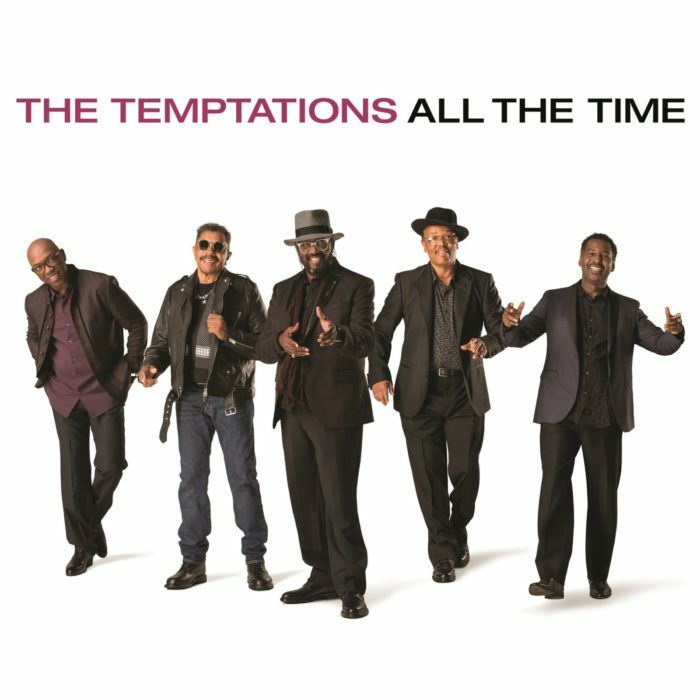 Since then, The Temptations have recorded three more cover albums: the excellent For Lover’s Only (1995) produced by Richard Perry which featured new, neo-soul arrangements of American standards; the so-so album of Motown covers Reflections (2006); and, finally, a better album covering soul classics, Back to Front (2007). At this point in their career, a covers album is no surprise for The Temptations. Legendary (older) acts who can get record contracts with the bigger labels tend only to get their contracts in return for albums of covers. Aretha Franklin, Smokey Robinson, and Lionel Richie have recently released cover albums, some more artistically creative than others (sorry Aretha). Given all this, I was anxious to hear what The Temptations’ latest offering would sound like. I was wrong to be worried. Quite simply, the Temptations have knocked it out the park with All The Time. Today, the group consists of Otis Williams, Ron Tyson (member since 1983), Terry Weeks (since 1996), Willie Green and Larry Braggs (both joined in 2016). Having seen this line-up in concert in 2016, they sound pretty good: Larry Braggs, a former lead singer of Tower of Power, is a great addition, as is Willie Green, perhaps the best bassist the group has had since Melvin Franklin. Ron Tyson, a member for over 35 years, still possesses a fine falsetto, and Terry Weeks, member for 22 years, is one of the underrated Temptations in my opinion. All The Time features covers of popular modern artists, from Ed Sheeran to Bruno Mars to The Weeknd, as well as a Michael Jackson cover. To placate Otis Williams’ ambivalence of doing another covers album, UME have, quite wisely, allowed the group to record three new original songs. One of which is co-written by Otis Williams and another co-written by Larry Braggs. Overall, the covers on the album don’t stray too far from the original arrangements. They are, however, given The Temptations unrivalled vocal treatment. The harmonies the group create are stunning throughout, and should stop the doubters asking whether the current line-up of The Temptations are any good. This line-up of the group is simply fantastic. Album cover for All The Time (PRNewsfoto/UMe). Interestingly, and very pleasing for this Terry Weeks fan, the album’s leads are split fairly evenly between Braggs and Weeks, with Weeks delivering the most outstanding moments on the record. That said, the album opens up with a delicious cover of Sam Smith’s ‘Stay With Me’, featuring Weeks, Braggs and Tyson on alternating leads. Sam Smith might try and portray himself as a soul singer, but he cannot compete with the experienced performances of The Temptations. In their hands, ‘Stay With Me’ is much more soulful, and the harmonies the group create at the song’s climax are divine. Braggs delivers a brilliant lead vocal on the Maxwell favourite ‘Pretty Wings’; again, the arrangement isn’t hugely different from the original, but it’s given The Temptations treatment. The harmonies are, again, stunning, transforming the R&B classic into a gospel sounding gem. Ron Tyson, veteran Temptations first tenor, is given just one lead on All The Time, a lovely cover of John Mayer’s ‘Still Feel Like Your Man’. His voice, slightly aged, is still as seductive and enjoyable as ever, and he really does shine on this track. Willie Green’s bass features prominently in the mix here (and throughout the album generally), contrasting nicely with Tyson’s sweet tenor. Perhaps one downsides of the album is we don’t get quite enough of Ron Tyson’s immense talent. However, we are given lots of Terry Weeks, and that’s a good thing. In fact, it’s a brilliant thing. Weeks, a former US Air Force serviceman, met Otis Williams by chance while Williams was shopping in Los Angeles, and Weeks gave him an impromptu performance. Impressed, Williams put him in a group called ‘For Lover’s Only’, a side project he was working on with Motown. The group only had one album, which actually was pretty good. However, when the group failed to make a dent on the industry they split, but later Weeks was asked to join the Temptations when the legendary Ali Ollie Woodson left. Since then Weeks has been a Temptation for over two decades, and is a fantastic performer (and energetic dancer) and possesses an incredible, incomparable voice. Weeks delivers the album’s best moments. His performance of The Weeknd’s ‘Earned It’ is just incredible, switching between tenor and baritone with ease. In fact, the track is arguably the best on the album: the arrangement is irresistible, complete with wailing guitar and organ on the intro, and those perfect Temptations harmonies. The song is an interesting choice, the lyrics being somewhat darker and more moody than the relatively happy love-songs that make up the rest of the album. Weeks also sings lead on Ed Sheeran’s ‘Thinking Out Loud’, again delivering a fantastic performance, backed by the harmonies of the other Temptations. Williams himself offers up a spoken introduction to the song, a little niche he’s been doing since the group recorded ‘I’m Gonna Make You Love Me‘ with Diana Ross & The Supremes. From the generally bland, yet mega-successful, pop-ness of Sheeran, The Temptations rescue ‘Thinking Out Loud’ with their soulful grace. Arguably the highlight of the album is one of the original tracks, the delightful ‘Waiting On You’. The song is co-written by Otis Williams, who has co-written some underrated Temptations ballads over the years (as well as the groups’ 1984 smash ‘Treat Her Like A Lady’). Interestingly, for the album’s first single, it’s Terry Weeks who handles the lead vocals, not the group’s official lead Larry Braggs. 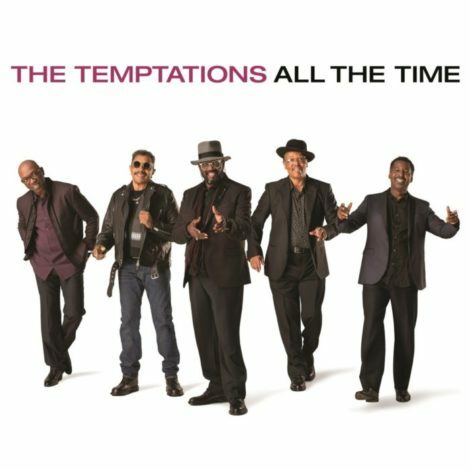 However, it was a wise decision to give Weeks the lead: it’s his best lead on a Temptations album in his 22 years with the group. The track is a polished piece of neo-soul, but it has the benefit of combing new school with old school in the form of those incredible Temptations harmonies. As the first single from the album, this song deserves a wider listening than it probably first received. Now, as much as I’ve enjoyed the album, there are a few moments to gloss over: the other two original tracks on the album are pleasant but largely unsatisfying, the Bruno Mars cover of ‘When I Was Your Man‘ falls wide of the mark, and the cover of Michael Jackson’s ‘Remember The Time’ tries hard but doesn’t deliver. But, in fairness, it is hard to cover the King of Pop well. These tracks aside, this is a surprisingly strong album from the latest incarnation of The Temptations. It was a gamble for the group recording another album of covers, particularly of songs that their fan-base is less likely to be aware of. Yet, most of the covers are pretty good and the album is strengthened by the inclusion of the brilliant original ‘Waiting On You’. And, unlike other covers albums from legendary acts, there aren’t any other featured vocalists or naff duets. All The Time shows, once again, that nearly six decades later, The Temptations are still temping. The Temptations today (L-R): Terry Weeks, Larry Braggs, Otis Williams, Willie Green, and Ron Tyson. Now, some will argue that this line-up aren’t the real Temptations, or that if the line up doesn’t feature the classic era Temptations of David Ruffin, Eddie Kendricks, Paul Williams, Melvin Franklin, Otis Williams or Dennis Edwards, then the group isn’t The Temptations. Everyone is entitled to their opinion, and these are fair comments. Comparison is often made with The Beatles: if Ringo got three other musicians together, could he legitimately claim to be The Beatles? The answer is, of course, no. Yet, for me The Temptations situation is different. A changing line-up is the only consistent thing about the group. Lest we forget, David Ruffin technically wasn’t an original Temptation, he was himself a replacement for a guy called Elbridge ‘Al’ Bryant. Few groups have had so many talented individuals pass through their ranks as The Temptations have. Replacement Temptations such as Dennis Edwards, Ali Ollie Woodson and Richard Street have all added to The Temptations’ rich musical legacy, and the line-up today continues that trend. The Temptations, namely Otis Williams (and Melvin Franklin, before his untimely death in 1995), have always used the opportunity to recruit new members to freshen up the group’s sound, explore new directions while maintaining the showmanship and vocal excellence associated with name ‘The Temptations’. Sometimes the results were mixed, but the group’s reputation as outstanding performers remained. For that alone, I think we should be grateful. And, as All The Time proves, Williams has once again assembled a superb line-up of singers to continue The Temptations legacy.